An investigation has begun after a boy collapsed at primary school suffering from the effects of the drug methadone. The pupil, aged seven, took ill in class at Merkinch Primary on Friday and was taken to Raigmore Hospital. Highland Council said it was unclear how the child obtained the drug, but added there was no suggestion methadone was available in the boy's home. The spokesman said the pupil was making a good recovery and an investigation was under way. Hospital blood tests confirmed the boy had methadone in his system. The pupil was discharged from hospital on Tuesday. The spokesman said: "The pupil seemed to be drowsy in the class and the teacher went up to him and next thing he collapsed. "She got the ambulance to come and staff had no idea what was up with him but he clearly wasn't well. We have had confirmation that he had methadone in his system. "The local education and social work authorities are working with their police and health colleagues to find out how this happened." A Northern Constabulary spokesman said: "A joint police and social work investigation is now under way to establish how this child came to ingest methadone." An investigation has begun after a boy collapsed at primary school suffering from the effects of the drug methadone. The pupil, aged seven, took ill in class at Merkinch Primary on Friday and was taken to Raigmore Hospital. Children at the school have been given a warning about drugs from head teacher Sheena Morrison. Hospital blood tests confirmed the boy had methadone in his system. The pupil was discharged from hospital on Tuesday. Ms Morrison warned pupils about the dangers of drugs at morning assembly on Thursday. Later she said: "One of the themes in our school that we bring up is that a child should keep themselves safe. "In light of what has happened we will be underlining to the children the need to keep themselves safe in terms of drugs." Peter Corbett, Highland councillor for the Merkinch area of Inverness, said the community was shocked. He said: "I'm really awfully glad the youngster has made a full recovery and he is fit and well at home." Mr Corbett said the council has a "stringent" drugs policy and commended the school's reaction. He added: "The question here is how did the youngster get hold of methadone and that is what the investigation with police and social work is." Mr Corbett described methadone as a dangerous substance and referred to the death before Christmas of East Lothian two-year-old Derek Doran, who allegedly drank the heroin substitute. His parents, Lisa Dodds, 25, and Derek Doran Snr, 21, of East Lothian, appeared in court in May charged with his murder. Mr Corbett said Merkinch did not have any worse a problem with drugs than any other area of Inverness or Scotland. He said: "It is really worrying that a youngster can get hold of methadone. I do understand he did not get it from his own house. "Where he got it from we don't know. "Merkinch is the same as every area - there is not an area that does not have a drug problem." The parents of a schoolboy who fell ill after apparently taking the drug methadone have criticised the authorities' handling of the case. An initial test on Conon Park, seven, found traces of methadone, but a routine follow-up check ruled this out. Joseph Park and Heather Mullen said the drug should not have been mentioned until they knew the second result. 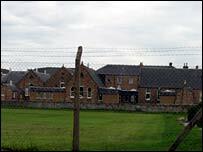 The reason for Conon's collapse at Merkinch Primary School, Inverness, remains a mystery. The boy, whose family live in the Merkinch area of the city, has made a full recovery and is back at school. Mr Park said on Thursday: "They should have done their testing properly and then told us what it was. 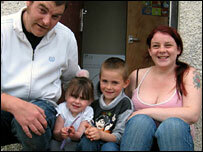 "We had CID round, specialised social workers, specialised people talking to my kids. It's been the weirdest 12 days we've ever had." His partner, Miss Mullen, said she was shocked when she was told the result of the first test. "To be honest they shouldn't have said this was in his system - they should have been sure first. "Our friends were investigated - they had to be spoken to by the police." On Tuesday, police, NHS Highland and Highland Council confirmed that methadone was not the cause of the pupil becoming unwell. Dr Eric Baijal, director of public health for NHS Highland, said it was unclear why the boy, who returned to school on Monday, had fallen ill.